So you finally found us. You; the never ending nightlife fiend, desperately in search of unrivalled evenings out and boast-worthy boozing institutions. ‘What’s on in London? !’, you ferociously type. ‘Things to do in London?’, you continue. ‘Places to momentarily escape the tedious reality of every day adult life…in London’ you painfully conclude. 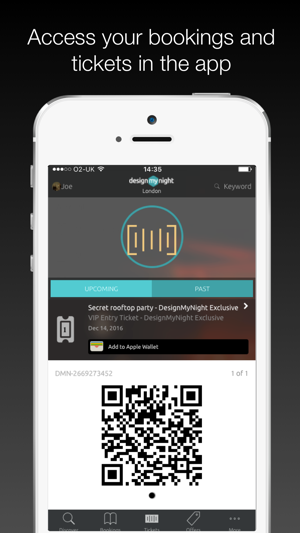 So much so, we created DesignMyNight - with one sweet mission in mind: to unlock the best of London and the UK's nightlife. 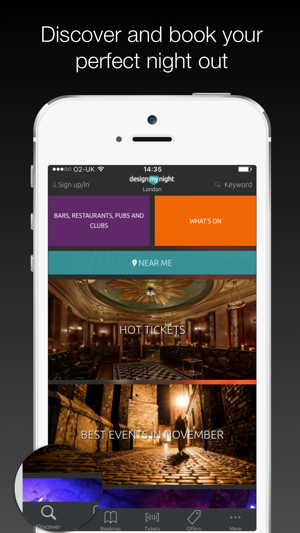 Users of our app can browse and book into the city’s top bars, restaurants, pubs and clubs, as well as buy tickets to our hand-picked selection of London’s best events. We're talking anything from pop-up bars to rooftop cinema, secret supper clubs to immersive theatre events; we've got the whole damn lot. 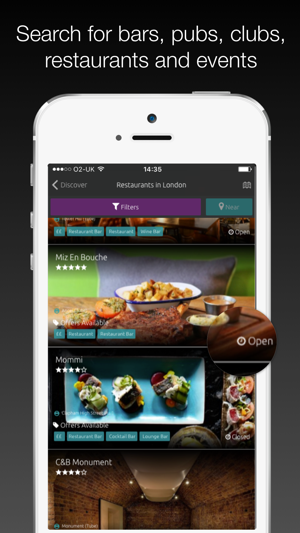 • Free area/table booking and reservation functionality to London’s bars and restaurants. • Free guest list at a selection of London clubbing hotspots. • Weekend away? The app also covers Birmingham, Manchester, Brighton and Glasgow. So say goodbye to flat beer, adieu to one-in-one-out-club-queueing-nightmares, and shout a clear as day ‘永遠にさようなら’ to half-baked nights out. From secret speakeasies to naughty nightclubs, VIP hangouts to the latest and greatest pop-ups; we’ve got the run-down on just about everything London nightlife related. And with this app, you will too. We are working hard on delivering a wonderful Xmas present for our DesignMyNight app users! In the meantime we had hit some issues with facebook log in so rather than leave you with a horribly buggy app (yuk) we have stripped it back to what we are great at; finding you awesome things to do and places to go. Discover, book, enjoy. Really nice design and seems like there's a lot to choose from. Only - 1 star because It wouldn't let me select some of the options.